Importing plants and plant products into the U.S. is fairly common. Plants and plant products range from flowers and trees to seeds and fruits/vegetables. Responsible for the oversight of all imported plants and seeds is the United States Department of Agriculture (USDA). Some plants and seeds will need a permit to be imported, and others may need a phytosanitary certificate. The National Plant Protection Organization (NPPO) uses the phytosanitary certificate to make sure import requirements are met. Here is what you need to know about how to import plants and plant products. Plant imports are regulated by Plant Protection and Quarantine (PPQ) under the Plant Protection Act. The rules about importing plants and plant products are important. The rules protect U.S. agriculture and natural resources from the entry and spread of pests and invasive weeds. Most plants and seeds imported will need a special permit. Nursery stock, fruits and vegetables, cut flowers, timber, and endangered species of plants all need permits. Other plants and plant products need a phytosanitary certificate. The National Plant Protection Organization (NPPO) uses the phytosanitary certificate to meet import requirements. Here is what you need to know about how to import plants to USA. Foliage and cut flowers (carnations, chrysanthemum, gladioli, orchids, roses, and other products). Bedding and balcony plants, potted plants and nursery plants (azaleas, begonia, chrysanthemum, geranium, impatiens, rhododendrons, other bedding and balcony plants and other potted plants). Hardy perennial plants (conifers, other non-forest nursery products). Bulbs (hyacinths, narcissus, orchids, tulips and others). This means there are many kinds of plants imported to the U.S. coming from around the world. Organism and Soil Permits are required for the importation and transport of plant products including Federal Noxious Weeds and Parasitic Plants, soil and plant growth enhancers. PPQ 587 Application for permit to import plants or products, including lots of seeds. PPQ 588 Application for permit to import prohibited plants for research purposes. PPQ 621 Application for permit for importing or exporting protected plants or plant products. PPQ 526 Application for permit to move noxious weeds or parasitic plants. PPQ 546 Agreement for postentry quarantine. It takes approximately 30 days for these permits to be processed and approved. Consider filing your permit application one month before your first shipment of plants arrives. The USDA’s Animal and Plant Health Inspection Service (APHIS) requires Transit Permits before arrival for the landing, unloading and other movement of plant products, plants, plant pests, or soil through the U.S. Some commodities do not require a transit permit. These include non-regulated lumber from Canada; pre-approved fruits and vegetables; and fully-processed items for consumption. The type of permit you needs depends on the type of plants or plant products imported. You can apply for the necessary permits online at least 30 days in advance of your shipment of imported plants. You will need a customs bond to import plants. According to information from U.S. Customs and Border Protection, a customs bond is needed when you are importing more than $2,500 worth of goods or when the imported commodity is subject to another federal agencies’ requirements. Because plants and plant products are subject to the requirements of the USDA, a customs bond is required. A customs bond is a document that acts as an insurance policy. A customs bond is an imports bond that ensures payment of duties and taxes to the U.S. government upon the import of goods and commodities. There are two main types of customs bonds: single entry and continuous. A single entry customs bond covers one import shipment into the U.S. A continuous bond is valid for one year and covers all imports into the U.S. within the year. The type of bond you select to import plants depends on how often you intend to import. It’s also important to note that your Licensed Customs Broker’s bond can be use to secure your transaction. Working with a Licensed Customs Broker can make the process easy and simple. You can look up plants and plant products in a database to determine import eligibility. APHIS provides the Fruits and Vegetables Import Requirements (FAVIR) database to search for plants allowed entry into the U.S. The FAVIR shows the approved commodities eligible for import as indicated by the Commodity Import Requirements (CIR). For example, let’s say that you are seeking to import Satsuma Oranges from Peru. The CIR will tell you if the oranges are accepted into the U.S. The CIR will also tell you the accepted port or ports of entry. The CIR will let you know if requirements include an import permit and inspection. In this case, Satsuma Oranges from Peru need an import permit and can enter at all U.S. continental ports. Additionally, inspection is necessary before the oranges can enter the U.S.
To use the FAVIR database, you will need to know the plant’s name and country of origin. If there are no results found in the database, the plant is not allowed entry. If there are one or more entries in the database, you can view the CIR to learn more about the import requirements. You can import a variety of plant products and plants into the U.S. Entry requirements are not the same for all plants, but a few rules do apply for across the board. Other commonly imported plant products include wood and timber. There are a few special conditions around importing wood to the U.S.
APHIS requires that wood is either heat treated or receives chemical treatments before entering the U.S. to protect the country from foreign pests and insects. Heat treatment involves processing the wood in a specialized energy dryer or kiln. Chemical treatment includes fumigating the wood with a surface pesticide to kill unwanted tagalongs like insects and pests. Additionally, wood importers must get a Timber and Timber Products Import Permit to go with wood shipments. You can obtain this required permit by filling out and filing PPQ Form 585. You can complete the form and apply for this permit online. It takes approximately 30 days to receive the permit, so you will need to file in advance of receiving your first shipment of wood. The import permit indicates the type of treatment the wood requires: heat treatment or chemical treatment. As with other plants and plant products, you will also likely need a phytosanitary permit to import wood and wood products. There are special rules to follow when importing certain types of wood. According to information from the USDA, all raw softwood lumber should be consigned to a facility with a valid agreement with Plant Protection and Quarantine when the lumber is imported. The lumber and wood products must be heat treated within 30 days of release from the first port of arrival. Softwood lumber is often used to make paper and paper products. The USDA also states that the only softwood logs that are allowed entry into the U.S. are the Monterey Pine (Pinus radiata) from New Zealand and Chile and Douglas Fir (Pseudotsuga menziesii) from Chile. Any undomesticated member of the plant kingdom. Seeds, roots, parts, or products of. Trees from planted or natural forest stands. Common cultivars and common food groups do not need to fill out a declaration form. Specimens of plant genetic plant material that will be used exclusively for scientific lab or field research will need a declaration form. Additionally, plants that are to be planted or replanted will still need to fill out this form. This form is very specific, asking for information including the plant’s scientific name, value of the plants, country of harvest, and a description of the merchandise. We’ve provided the form you need right here on our website. Checking to see if plants and plant products are able to be imported into the U.S. is simple. The Animal and Plant Health Inspection Service (APHIS) provides the Fruits and Vegetables Import Requirements (FAVIR). The FAVIR will show you the approved commodities that can be imported as indicated by the Commodity Import Requirements (CIR). Let’s say, for example, you are looking to import watercress. The CIR will tell you the plant part of the watercress, as well as the port or ports of entry in which it is accepted. CIR will also let you know if an import permit and inspection is required. APHIS plant inspection stations are located strategically near major U.S. airports and seaports. At the plant inspection stations, APHIS and PPQ agents and specialists examine imported plants, plant products and seeds to make sure they are free of diseases and plant pests that are unknown or could be harmful to U.S. natural resources and agriculture. These specialists and agents also make sure that plants and seeds adhere to Federal import permitting requirements and regulations. Plants will be refused entry if an agent finds they could harm other plants or if they do not meet other entry requirements. Plants refused entry will be forfeited and either destroyed or returned to the country of origin. Additionally, plant importers need to pay any inspection or handling fees, including customs duty. You’ll also find that of the APHIS plant inspection stations issue the required phytosanitary certificates for the export of plants, seeds and other plant products. Plants imported to the U.S. have varying entry requirements. In addition to a listing in the FAVIR database, plants imported to the U.S must be healthy. Plants imported to the U.S. must be free of insects. Plants imported to the U.S. should have bare roots without growing media on the roots. Other requirements might include additional documentation, even when you do not need a permit. Needed documents might include endangered species paperwork, depending on the plant imported. Those who import and export endangered species of plants must follow the rules of the Convention on International Trade in Endangered Species of Flora and Fauna (CITES) and the Endangered Species Act (ESA). Under these rules, you must get a USDA Protected Plant Permit to import endangered plants. Importers of endangered species of plants must also get necessary permits under the USDA’s regulations for nursery stock. Additionally, CITES-listed plants must enter the U.S. through certain ports and inspection stations. According to information from the USDA, there are import restrictions in place for some plants and plant products. Import prohibited and limited plants include valuable crops and natural flora like apples, rice, grapes, elms, maples, peaches, potatoes, sweet potatoes, and sugarcane. In some cases, plants and plant products are prohibited from entering the U.S. by authorities other than the USDA because they are considered controlled substances. For example, it is illegal to import Cannabis sativa ssp. indica and Papaver somniferum seeds because they can be used to grow depressant drugs illegal under federal law and in many states. Though you can import plants year-round, it might be wise to check plants for seasonal hardiness before shipping. The USDA Plant Hardiness Zone Map can help you decide where and when to import plants for planting. This map is the standard by which farmers, gardeners, and other growers decide which plants will propagate at their particular destination. The zone map is based on average annual temperatures. This means the best time to import plants for planting might depend on their intended destination. For example, the best time to ship perennial plants and flower bulbs to zone 10 and 11 (South Florida) would be in January. The best time to ship the same perennials and flower bulbs to New Jersey would be March. Shipping and importing plants requires proper packaging and careful preparation. Knowing how to prepare plants for shipping will help make sure they are received in good condition and health. To prep your plant for shipping, remove the excess soil from the roots of the plant. Do not wash the roots, as this removes microbes from the plant’s native environment that are essential for plant health. It is suggested that you wrap your plants in a damp newspaper to keep them from drying out. Before wrapping and shipping them off, an inspection should be done to make sure the plants are healthy and that there are no pests. The roots of the plants can be wrapped in a plastic bag. You can also add a few teaspoons of polymer moisture crystals to the plant package to ensure hydration during shipping. You can stabilize the plant for shipment by using a rubber band or plant ties to wrap growth. It is also wise to insulate the plants with additional packing material. Before wrapping and shipping them off, an inspection should be done to make sure the plants are healthy and that there are no pests. 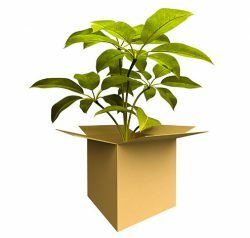 Consider packing the plants you are importing in a sturdy cardboard box just big enough to contain the contents. Extra room in the box can cause the plants to shift and become damaged during shipment. Consider reinforcing the edges of boxes with packing tape. Make sure the boxes containing plants and plant products are labeled appropriately. Marking the boxes as “live plant” and “perishable” will encourage shippers to treat them gently and efficiently. Importing live trees requires a different process, depending on the age of the tree. Trees under two years can likely be prepared and shipped like plants due to their small size. Trees over two years of age will require a different process. Mature trees (7-14 years old) are often shipped in 14,000-gallon crates. It is important to carefully measure the tree’s canopy and maximum bending capacity. Any tree more than 8-feet, 6-inches in width will require a wide load permit when traveling on U.S. roadways. Many of the plant products imported to the U.S. have been finished and have been turned into other goods. Billions of dollars in imported furniture made from foreign trees and wood enters the U.S. market each year. Much of this imported furniture comes from China. U.S. You will need to follow a few rules when importing wood furniture from China or other international sources. These rules help to deter illegal logging practices and protect the country from invasive species of insects. These rules also protect U.S. markets. When importing wood furniture, you must follow the same inspection and permitting processes as with other wood and plant products. Additionally, it is important to know that there might be some extra fees associated with importing wood from certain countries. It is important to note that wood furniture that is imported from China is under the authority of anti-dumping duties. According to regulations set in place by the Tariff Act of 1930, the U.S. government can place tariffs on goods sold at less than market value and “dumped” on U.S. markets. Furniture imported from China is often less expensive than U.S. manufactured furniture and that makes anti-dumping rules apply. Wood furniture imported from China is often subject to these extra duties. A Licensed Customs Broker can help you navigate these extra fees and regulations. Consider working with a professional when importing plant and wood products. Are you looking to import plants and plant products into the U.S.? AFC International can provide you with assistance to make the process fast and easy. 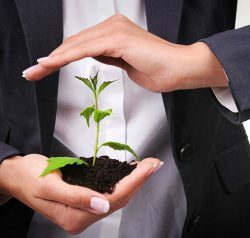 Not only do we offer expertise in importing plants and plant products, but we also a wealth of knowledge to help import any type of goods that you are wishing to get into the United States. Do you have questions about importing into the U.S.? Leave us a comment below or follow us on Twitter and Google Plus for more conversation.